Parenting isn’t for the faint of heart. New moms and dads face a unique set of struggles from no sleep to strained work days to lack of personal time. As political as keeping up with the Joneses can be, keeping up with the societal expectations of parents can be just as complicated. Now, just imagine that instead of two parents, we are talking about a single black mom. In that case, the dynamics of parenting take on an often burdensome, sometimes seemingly insurmountable form. But, these women do more to raise strong, thriving children than society gives them credit for. The media takes every single opportunity to berate single black moms, attempting to shame them out of sight and, therefore, out of mind. Politicians make policy around policing black women’s reproduction. Cable news reporters blame black mothers for the demise of black culture. Meanwhile, these women bear the brunt of the social, economic, and environmental concerns for their children, usually asking little for themselves. The truth is, for many single black mothers, the question isn’t whether or not to purchase a new stroller or new shoes for a newborn child. Financial decisions are often more grave than that. In my household growing up, my single mother taught me that I didn’t have to have every new pair of shoes. Instead, I could earn them every few months so that she could put money away in a savings account for me. My new school clothes weren’t always in season. But, they fit and they kept me warm. The tougher decisions arose depending on how quickly we went through milk, cheese, and bread. It was in those times that we subsisted on rice and beans. I couldn’t always get the more expensive items from the grocery store so I learned to make them last when we could afford them. We were happy with that. When she was diagnosed with breast cancer, she went to chemo therapy but never picked me up late from school. She came to basketball games, track meets, and volleyball matches even though she always had some confusion whether the thing I did was a good play or not. We were never poor. Or, if we were, I had no idea. 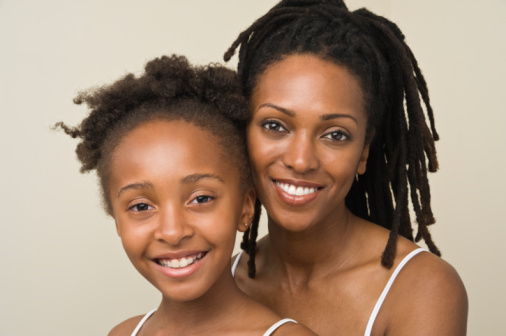 My single black mother shielded me from the ire of society. She raised me to understand that everything I got in life was a blessing. My dad was in and out of my life but it was my single black mother who ushered me to school on my first day of kindergarten, took pictures with me on the day of my baptism, and cried when I went to junior prom. That was what my single black mother did for me. When life drove a wedge between us, she reconnected with me as an old friend would. I have never let her go since. She has looked on at every graduation. She sat in the stands when I accepted awards and gave speeches as the president of my class. She sang for me on my wedding day. She even helped me keep my breathing steady when my children were born. She still makes my favorite breakfast potatoes for me when I am on bed rest or nursing a newborn. She continues to raise me showing me kindness and unconditional love even when I am impatient or hard on her. These are the tiny miracles single black mothers perform every day. But, I find that this topic is still too taboo to garner the proper media coverage it deserves. Society continues to take these phenomenal women for granted. They go under the radar only emerging when a star athlete is headed to the NBA and thanks his tearful mother or a tragic incident steals a young child from his family. But, these single black mothers are here. They are molding us, shaping us into the doctors, educators, social workers, and news reporters of tomorrow. I sincerely hope they get some coverage soon. Not just the fleeting kind but the kind that says how important, invaluable, and powerful they are. I know they won’t stop working even if they don’t get any attention. But, it would be nice to see them in a positive spotlight for a change. Lord knows many of us wouldn’t be here today if it weren’t for what they do even when the politics of parenting render them invisible. I certainly wouldn’t be. I’m guessing I’m not the only one who can say as much.